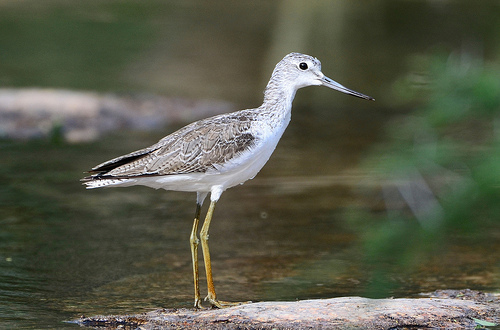 The Greenshank greatly resembles the Redshank, but as the name suggests the legs are green (although they may also look grey), while the Redshank has red legs. Typical is the call, which almost always consists of three syllables: tyu-tyu-tyu . 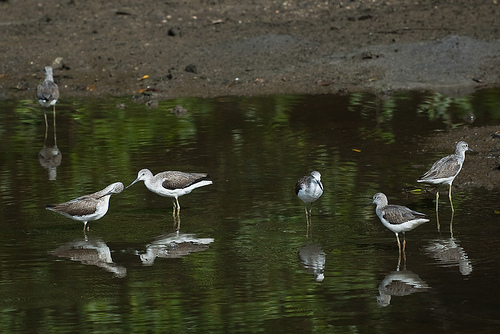 The Redshank has red legs instead of green and is slightly browner than the Greenshank.